Below is a list of ministries and organizations that I support or recommend. New Life Ministries America’s #1 Christian counseling ministry. Listen online or search this site for a local radio or television network that carries this program. Dozens of books available for purchase. Healing workshops are led by Steve Arterburn, or others, with counselor-facilitated small group sessions. Locally in the Seattle region, New Life Live is broadcast on 820 AM KGNW at 1 PM PST. Celebrate Recovery A Christ centered recovery program. Search this site for a Celebrate Recovery program near you. 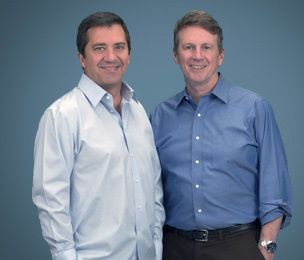 Cloud & Townsend Resources Dr. Henry Cloud & Dr. John Townsend have written dozens of books on healing, relationship issues and life transformation. I highly recommend reading anything they have written. Totally ADD A site dedicated to helping adults diagnosed with ADD. Developed two videos that aired on PBS, “ADD & Loving It?” and “Mastering ADD”. 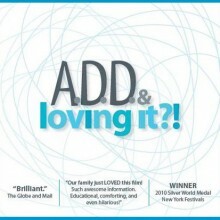 Site also includes a helpful and humorous blog on living life with ADD/ADHD. CHADD A site dedicated to children and adults with Attention Deficit/Hyperactivity Disorder. Find a local CHADD support group.